Chocolate. Is it good for our health? Or is it just good? Many experts warn that the sugar in chocolate is not good for us. 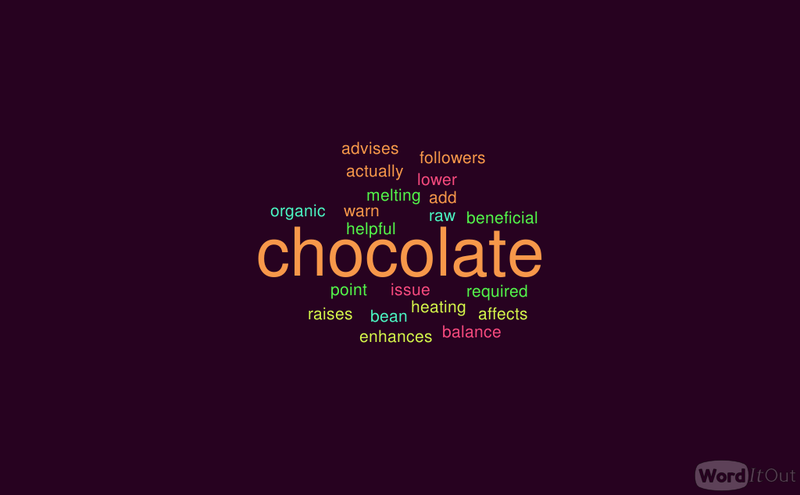 But doctors point to the healthful qualities of chocolate’s antioxidants. VOA's George Putic reports that uncooked, organic chocolate may contain the right balance. The biggest value in eating cocoa and dark chocolate, besides the taste, may be its ability to lower blood pressure. This comes from the rich, comforting, almost decadent, feeling of cocoa butter melting in your mouth. That happy feeling may also add to chocolate's anti-depressant qualities, says Kim Hoffman. Ms. Hoffman is a dietician, a person who advises people about what to eat to be healthy. She tells how dark chocolate makes us feel better and raises our mood. Not all chocolate is equal when it comes to those helpful chemicals. The way commercial chocolate makers produce chocolate affects its health benefits. First, there is the issue of temperature. The heat required to process commercial chocolate can be as high as 130 degrees centigrade. Some researchers say temperatures that high can actually lower the effectiveness of those beneficial chemicals. Anthony Grid makes fine chocolates at a store called Honest Chocolate, in Cape Town, South Africa. He keeps the temperature of his raw chocolate below 42 degrees. Mr. Grid says that there is a movement in the food world to limit heat when cooking food. Followers of this movement say that high temperatures lower the health benefits of our food.